Since tomorrow is the first day of spring in America (according to the calendar, not by the weather) I went with a bright flowery nail design. This design is easy to do, but it might take some extra time since we will be using a lot of different colors. You will need: two base colors (I went with neutral - Lavishly Loved by Vinylux and pink - Cake Pop by Vinylux), four colors for the flower's petals (blue - Creekside, dark blue - Cerulean Sea, pink - Hot Pop Pink, orange - Tropix), one color for flower's center (My Favorite Ornament by OPI). 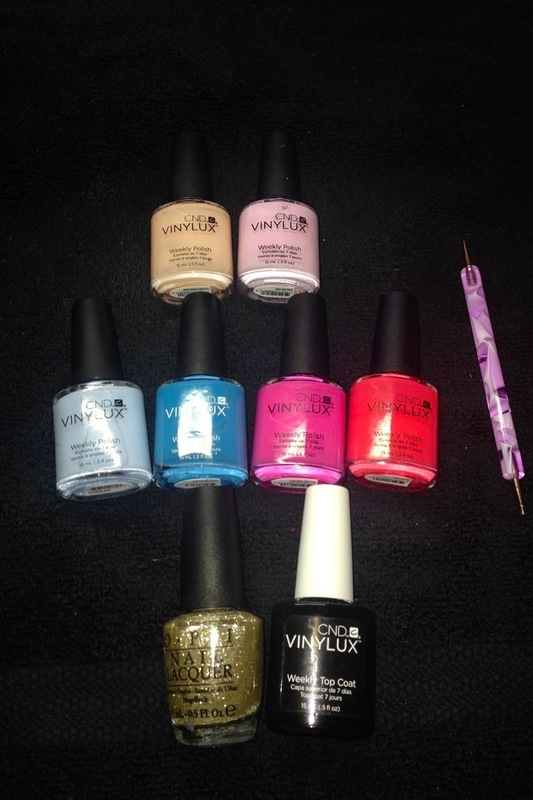 Vinylux Top Coat and dotting tool. 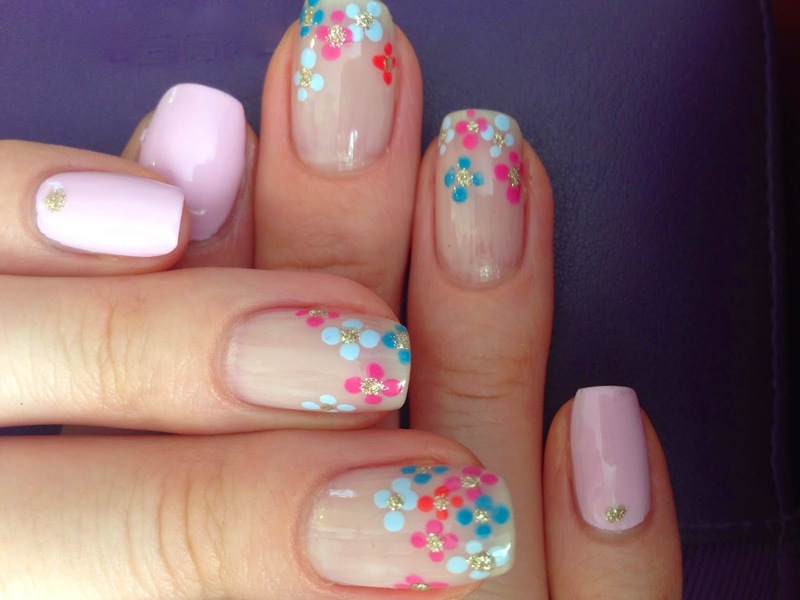 Apply pink nail polish on a little and a pointer finger and neutral color on the rest of the nails. We will be painting flowers on the nails with neutral color. Using dotting tool apply four dots to create the petals. Put the dot in the center to finish the flower. Then take another color and repeat the process. Apply Vinylux Top Coat and enjoy your nails. Happy Spring to you!